Furnaces come in different sizes for a bunch of different reasons, none of which has anything to do with the available floor space upon which you’d like your new furnace to live. In order to find one that satisfies your pocketbook and any energy concerns you may have towards the environment, it helps to have a fairly detailed assessment of your home’s heating needs as a reference guide. Your local Action Auger plumber is happy to help you gather that information and he’s just a phone call away. To get a head start, take a look at your heating bills from the past year to see how much heat you used during the warmer months and colder months. In this day and age, the big concern over fuel and electricity costs is “efficiency.” Which brings us back to the matter of size. Even the best brands in furnaces fail to reach maximum efficiency if they are over-sized; just because you live in a relatively cold climate for eight months of the year that doesn’t mean you need a behemoth of a furnace. Bigger is not better; go big and you could go home to a furnace that is too large and far too inefficient. When you’ve been in the plumbing industry as long as we have, you learn a great deal about your customers and their expectations with regards to quality of service. Like them, we believe that with good quality comes good value. 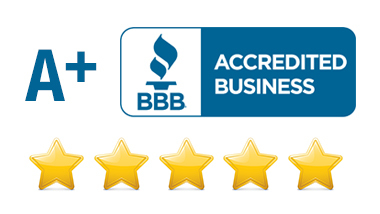 Because we only use quality plumbing supplies and related products, our customers benefit by getting longevity. 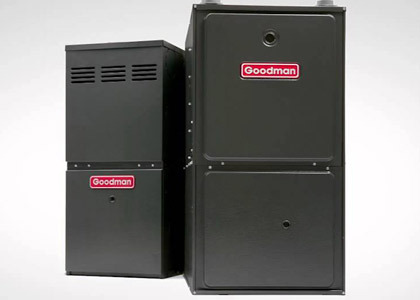 Cost-effective and consumer-friendly, Goodman® brand gas furnaces & furnace parts deliver maximum energy efficiency and they come with the best warranty protection in the heating and cooling industry. Gas furnace prices have gone up over the years, but design improvements have succeeded in bringing down energy usage and wasted heat – that for years and years went up the chimney. Today’s higher efficiency gas furnaces and boilers have been modified to reduce the amount of heated air that escapes during the system’s on and off cycles or extracted from the combustion process. What does all of that mean to you? Better value for your buck. In a country like Canada and in a province like Alberta – that adds up to more energy-saving features for your heating dollar.